WSP | Parsons Brinckerhoff, a global engineering and professional services organization, has added three professionals to the staff of its San Diego, CA office. Joining the firm are Miguel Galvan, senior supervising engineer, Richard Bottcher, senior engineering manager, and Darryl Carty, senior architectural manager. Galvan will be responsible for designing stormwater management systems along major highways and rail corridors in Southern California. He has nearly 20 years of experience in urban grading, urban drainage system planning and design, stormwater pollution prevention, and erosion control design. Prior to joining WSP | Parsons Brinckerhoff, he was a senior supervising engineer for a California engineering firm, providing stormwater engineering services to numerous agencies, including the California Department of Transportation, the San Diego Association of Governments, the Guam Department of Public Works, the Orange County Transportation Authority, the California Transportation Corridor Agencies, Los Angeles County Metropolitan Transportation Authority and many cities and counties in California. Galvan received a B.S. in civil engineering from San Diego State University. Bottcher will be responsible for managing stormwater projects in Southern California. He has 32 years of experience in stormwater management, drainage design, hydraulics, hydrology, and stormwater treatment studies throughout California, with special expertise in stormwater systems along major highways and rail corridors. He has served as a program manager, project manager, and planning and design engineer for transportation drainage system design, storm water pollution prevention, hydromodification assessments, watershed management, flood control design, pump station design and groundwater/surface water hydrology. He previously served as the regional stormwater manager for a California engineering firm, providing engineering services to numerous agencies and municipalities in California and for clients in the Middle East. Bottcher holds bachelor’s and master’s degrees in engineering from Cornell University and is a registered professional engineer in the State of California. Carty will provide architectural design services for transit and transportation projects in Southern California. He has over 38 years of experience managing architectural design for complex projects, including rail transit systems, fare collection studies and implementation, airport master plans, airport terminals and concourses, public safety facilities, vehicle maintenance facilities, air cargo and industrial storage facilities, parking decks, and water and wastewater treatment plants. Prior to joining WSP | Parsons Brinckerhoff, he served the Metropolitan Atlanta Rapid Transit Authority (MARTA) as deputy program manager and project manager for an automated fare collection system. Carty received M.A. and B.A. degrees from the College of Architecture at the University of Florida. WSP | Parsons Brinckerhoff provides services designed to transform the built environment and restore the natural one. The firm’s expertise ranges from environmental remediation and urban planning to engineering iconic buildings and designing sustainable transport networks to developing the energy sources of the future and enabling new ways of extracting essential resources. Approximately 34,000 employees, including engineers, technicians, scientists, architects, planners, surveyors, program and construction management professionals, as well as various environmental experts work for this organization in more than 500 offices across 40 countries worldwide. For more information, visit wspgroup.com/usa. The White House and the U.S. Department of Transportation have honored Atorod Azizinamini, chair of the Department of Civil and Environmental Engineering at Florida International University’s College of Engineering and Computing, for his innovations in making the nation’s aging bridges safer. Azizinamini has been named a 2015 White House Transportation Champion of Change. The White House Champions of Change Program highlights the stories and examples of citizens across the nation who are leading projects and initiatives that move their communities forward. Azizinamini has devoted his career to developing solutions for aging bridges. Currently, about 24 percent of more than 610,000 bridges in the United States are deficient, and about 45 percent of all U.S. bridges are shorter than 60 feet. To address this issue, Azizinamini invented the Folded Plate Steel Bridge System, which provides an economical, long-term solution for replacing outdated short-span bridges. It allows on-site construction of a bridge over a few days, using less costly materials and lasting longer, resulting in lower costs and limited impact to traffic. In 2014, with support from the second Strategic Highway Research Program, Azizinamini developed the first comprehensive guide to enhancing the service life of bridges. The first application of the guide was at the Tappan Zee Bridge in New York. 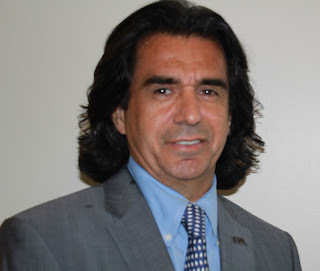 Azizinamini is director of FIU’s Accelerated Bridge Construction University Transportation Center (ABC-UTC), focused on developing technology and methods to improve bridge design and construction. The ABC-UTC was established by the U.S. Department of Transportation in 2013 and works closely with the Federal Highway Administration and the American Association of State Highway and Transportation Officials to advance accelerated bridge design and construction through research, workforce development, and technology transfer. Fluor Corporation has announced that the company has been awarded a contract by the Department of Homeland Security’s Federal Emergency Management Agency (FEMA) to provide architectural and engineering services to support disaster-related operations in Texas following the severe thunderstorms, tornadoes, and flooding that swept through the state in May. Fluor’s contract is one of two task order contracts announced by FEMA for disaster response services in Texas. The contract was issued under the Architects and Engineers Technical Assistance Contract, which carries out the statutory authorities of the Robert T. Stafford Disaster Relief and Emergency Assistance Act. The contract has a six-month base period with an additional six-month option period. Since 1997, Fluor has worked closely with FEMA to provide technical assistance in disaster-stricken locations. This has covered tornadoes in Kansas, river floods in North Dakota, earthquakes in California, and hurricanes along the Gulf Coast. In 2005, Fluor supported FEMA’s delivery of aid to victims of Hurricanes Katrina and Rita, and Fluor continues to provide disaster recovery support to restore infrastructure in Louisiana 10 years after the hurricanes. The U.S. Environmental Protection Agency has awarded a $20,000 grant to Kansas State University to carry out a green infrastructure demonstration and training project on its campus in Manhattan, Kansas. Faculty and students will create “living laboratories” to conduct green infrastructure monitoring at two on-campus sites, the rain garden at the International Student Center and the meadow at the Marianna Kistler Beach Museum of Art. Green infrastructure uses vegetation, soils, and natural processes to manage wet weather runoff, treating stormwater as a resource rather than a waste. It can enhance resiliency for communities and landscapes faced with water pollution and climate change impacts by increasing water supplies, reducing flooding, combatting urban heat island effect, and improving water quality. The award encourages sustainable stormwater management by educating the next generation of scientists, designers, and engineers about green infrastructure. By supporting demonstrations and training, colleges and universities can advance the implementation of green infrastructure to protect water quality. This award builds on the success of EPA’s Campus RainWorks Challenge, in which faculty and student teams design green infrastructure projects for their campuses. Kansas State won a $2,000 first-place prize in 2013. EPA also awarded a $20,000 grant to Mississippi State University to design and construct a 1,500-square-foot rain garden to manage runoff from a nearby building.